SSX Startup Stock Exchange takes Bitcoin! For entrepreneurs all over the world, finding a source of funding is one of the most problematic aspects of their entrepreneurial experience. Finding investors could be as painstaking as coming up with an innovative idea to start a new venture. Before the 90s, entrepreneurs used to get in touch with middlemen and brokers to find individual and institutional investors to invest in their ventures. This led to the birth of angel investing and royalty based financing. Apple Inc is one company born out of such investing. But now, with the advent of the internet, a lot of online funding options have come into existence. With the ease of accessibility, startups are able to reach a wider range of investors all over the world. One such option is Crowdfunding. Crowdfunding is a method of raising significant funds from the internet, by aggregating a number amount of money from small contributions from individual online investors. With crowdfunding, entrepreneurs can get investment in small terms from a large number of investors. This ultimately sums up into a large amount. Typically, the entrepreneurs gives either a percentage of the company or royalty on sales and services to the online investor. There are two types of crowdfunding – Project crowdfunding (where small amounts for specific projects are accepted as donations) and Enterprise Crowdfunding (where to raise capital or operating costs, a percentage of the company is sold as investment security). Crowdfunding uses the easy accessibility of individuals like friends, family, venture capitalists and others on social networking sites like Google Plus, Facebook, Twitter and LinkedIn. A lot of websites are available online for crowdfunding purposes. You can easily find a project that you like and fund it by paying with a credit or debit card. The problem here is the lack of authentication and a proper system to see a sale through. What is Startup Stock Exchange? Startup Stock Exchange (SSX) is a government regulated, global public marketplace for startup investing and funding, with investors from over 100 countries. On SSX, investors of any level buy ownership shares of vetted startup companies. Shares trade freely on the exchange, providing a liquid market. Investors can buy or sell anytime and control their own account. Startups raise capital on SSX from an international pool of investors. They raise money at a significantly lower cost of capital than current money raising methods. SSX takes the concept of crowdfunding and adds the security, liquidity and control of a securities exchange. SSX provides an online market where investors of any level buy public shares of vetted startup companies, while Startups raise their working capital or operational costs they need from these global investors. Each company’s shares are sold through an Initial Public Offering (IPO) on Startup Stock Exchange and there is no minimum investment for an investor. Startup Stock Exchange helps startup companies raise the needed capital through safe crowdfunding means. Each company is needed to submit its business documentation such as business plan, financial details, executive summary and other corporate documentation. Once this is done, the application process begins and it includes a six step vetting process to approve a company. Once approved, the company is listed on SSX through an Initial Public Offering (IPO). Investors can buy the company’s stocks which would be held by the Custodian of the Exchange in the name of the investor, to allow electronic trading. Regular reporting by the listed company is required to keep the investors informed. SSX is very selective about the companies that it lists. Only 3% of the companies that apply are approved to list. Each company is analyzed carefully and an in-depth analysis is provided to the investor. To know more about how SSX is beneficial for a Startup Company, please visit Startup Stock Exchange. Startup Stock Exchange helps both individual and institutional investors invest in different startup companies via crowdfunding. Each investor should open an account on SSX by a short registration process to verify a client’s identity. Any Investor that successfully completes registration may invest after deposits funds into their account. However, U.S. and Canadian residents are currently restricted from trading prior to SSX finalizing compliance with the regulations of those countries. Once approved, they can start investing in Startup companies. There are no minimum or maximum investment levels. The minimum investment is one share, and the maximum is subject to the number of shares available for purchase. An investor may invest using the SSX online marketplace through either subscription prior to IPO, and/or by the trading of shares after IPO. Ian Haet is the CEO and the founder of SSX and Brian Niessen is the CIO and the co-founder of SSX. Both of them have a vast experience in creating and managing technological companies. SSX has received funding from a lot of individual and institutional investors from all over Europe and the United States, including Greg Kidd, the famous angel investor who owns a major stake in Twitter. On April 23, 2014, Startup Stock Exchange is now accepting Bitcoin as a mode of payment to buy stocks of companies listed in SSX. SSX becomes the first investment platform to allow investors to buy publicly traded shares of a company. Investors can now fund their SSX Investment Account by Bitcoins, using the GoCoin payment processor. The GoCoin payment processor bypasses the cumbersome and less private / secure options of virtual exchanges and other third parties and offers Bitcoin owners the ability to pay merchants actual dollars in exchange for a Bitcoin. Therefore, the Bitcoins would be converted into USD before being used for investing in companies listed on SSX. “SSX provides investors of all levels access to investment opportunities in global Startups. The addition of Bitcoin as a funding method makes it easier for these investors to participate on our global market and invest in our public Startups,” said Ian Haet, CEO and Co-Founder of the Startup Stock Exchange. Why did SSX start accepting Bitcoins? SSX is a global marketplace which lists companies from all over the world and has clients in over 100 countries. To reach a wider population, SSX had to find a financial instrument which has a low money transfer fee. What better than Bitcoin? Due to the online nature of Bitcoins, it is the most cost effective financial instrument for international transfers, covering countries such as Argentina, Singapore, Venezuela, South Africa and Morocco. Moreover, due to the rising popularity of Bitcoin and due to the tremendous similarities in the SSX mission and the purpose of Bitcoins, SSX started accepting Bitcoins. Moreover, SSX believes in providing a more secure source for crowdfunding and what better way than accepting Bitcoin, knowing the cryptographic security features that it comes with. Bitcoin is unregulated and SSX is government regulated. How does it work? Although Bitcoins are unregulated financial instruments, all Bitcoin transactions on SSX are reviewed according to strict Anti-Money Laundering (AML/CFT) procedures. As a regulated global marketplace for Startup investing and funding, this review process is an important factor in adhering to global best practices regarding the prevention of Money Laundering and maintaining the security of investing via SSX. This innovative idea of funding startup companies with Bitcoins, through Startup Stock Exchange is not only beneficial to SSX but also the Bitcoin community. With major companies like SSX accepting the Bitcoin, its popularity increases which creates a demand, thereby increasing the price as the supply of Bitcoin is capped. Furthermore, this idea also invented a new purpose for the use of Bitcoins in the financial world. However, one should be cautious about the investment as the Bitcoin price is highly fluctuating now. This could create an imbalance in investment for investor using Bitcoin as a mode of funding for startups on SSX. On the brighter side, the total reach of SSX is bound to increase. The use of Bitcoin as a mode of funding would attract a lot of investors from the technologically sound countries towards SSX. Moreover, with the increase of the total reach, SSX might also beat the more conventional Stock Exchanges. Scouting for places to spend their Bitcoins, many individuals might actually want to save their Bitcoins by investing in startup companies and you never know you might be funding the next Facebook! 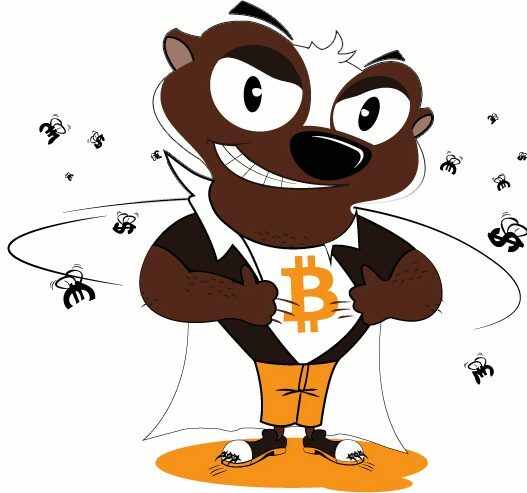 Buy your first bitcoins securely and safely in minutes! Your $10 bounus is on us! Get Your $10 bonus on us! 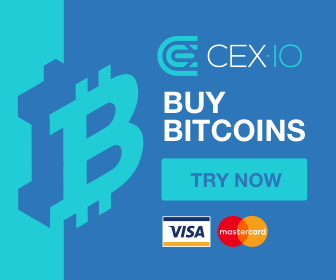 Buy Bitcoins with Credit Card now!